Well, it’s been one Strange year. Literally. This week marks the one year anniversary of our official transition from Draai Laag to Strange Roots. It’s been wild, it’s been funky, and there’s only one way we can think of to celebrate. Join us this Saturday for a very nostalgic bottle release, as we unearth the Special Anniversary Edition Relic. Sourced from one of our original Relic batches way back in 2017, we’ve been aging this for over two years, waiting for just the right occasion to release it. The time is ‪Saturday, 3/2/19, at 2pm‬ at both our Millvale and Gibsonia locations. 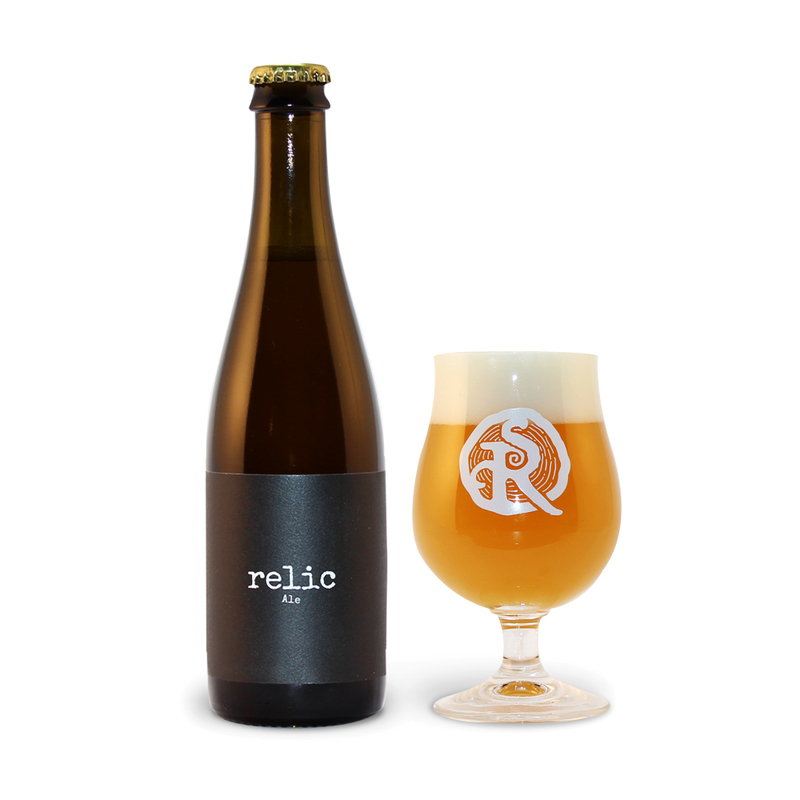 The Special Anniversary Edition Relic will be available in 375 ml bottles for $8.75. Due to the limited availability, there is a 3 bottler/person limit. For those of you wondering why you haven’t seen a more recent batch of Relic, a quick update. Due to the difficulty in sourcing Nelson Sauvin hops and the deterioration of our unique Relic yeast strain, we haven’t been able to produce a batch to the high standards we demand. We love this brew as much as you and are working on ways to bring the spectacular yeast strain back to life. Finally, we wanted to thank you all for the support that you have given us over this past year as we have gone through these changes. We’re truly humbled by your support and grateful for the opportunity to do what we do. We know we wouldn’t be here without each and every one of you and we can’t thank you enough. ‌ What is wild beer? Wild beer is a type of beer that is typically fermented with yeast, wild yeast (brettanomyces) and bacteria. The bacteria, often found in other foods like cheese, bread, and yogurt, produces acids that give the beer a tart and refreshing flavor profile. Most of our sour beers are aged in oak barrels for an average time of 9-12 months. What is a coolship (koelschip)? A coolship (koelschip) is a low lying, open, flat vessel in which beer naturally cools overnight (24-48 hours). During cooling, resident microorganisms (part of our terroir) inoculate the beer to initiate the fermentation. So, when we use our coolship, we don’t add yeast…it all comes from nature. Terroir is a term typically used in the wine industry to explain the complete natural environment in which a particular wine is produced, including factors such as the soil, topography, and climate. The specific conditions create characteristic tastes and flavors imparted by the environment in which it is produced. In the sour beer community, terroir is very important because the process is very much like wine making. Are all of your beers aged in oak barrels? No, but most of them are. We believe that barrel aging is necessary for some beers, but other benefit from extended bottle maturation instead. Any beer aged in barrels is clearly identified on the label and explained in the description. Our barrel aged beers typically age approximately between 9-12 months. That being said, we do have a various barrels beyond 12 months but we don’t begin to taste them until 18 months. We have barrels aging from 18 months up to 4 years. Do you make kettle sours or quick sours? No. We prefer not to use this method and rely on a more natural approach. Are you willing to donate beer to a special event? We love supporting and participating in local events, however like we mentioned before, we’re a small brewery and our ability to donate beer is very limited. Additionally, PA laws are strict on donation of alcoholic beverages. If you have an event that you think would be a particularly good fit, feel free to reach out to Mark at mark@strangerootsbeer.com. Are you interested in any advertising, marketing, or promotional opportunities? Where can I find your beer outside of Pittsburgh? We’re a small local brewery and the Pittsburgh market is our priority. When we’re able, we distribute our products in limited quantities throughout the US through Shelton Brothers Importers and in Philadephia through Shangy’s Beer Distributor. Can you ship me beer? We currently can only ship beer to residents of Pennsylvania. To order, visit our online store at https://store.strangerootsbeer.com/. Is your beer available outside the taproom? A small percentage of our beer is available in bars, restaurants, and retailers in the Pittsburgh area. If you are a local establishment interested in carrying Strange Roots beer or a customer looking for a place to buy it, please contact Dennis Hock at dennis@strangerootsbeer.com. Yes! Well behaved dogs are welcome to come and hang out in our outdoor beer garden area (but not inside). Children are welcome if accompanied by a parent or legal guardian. Tees, glassware, empty growlers and stickers are available for purchase at both of our locations. Yes. We will fill 64oz and 32oz growlers of select beers. We also sell empty 64oz growlers for $5. Do you brew your beer on site? Yes! Our beer is brewed at our production facility located in Gibsonia, PA.
What about for private events? We do not host private events during our normal business hours. 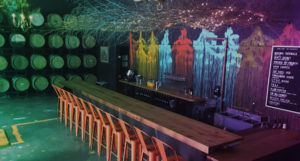 If you are interested in having a private event at either our Gibsonia brewery or Millvale taproom during days that we are normally closed, please contact Jaclyn at jaclyn@strangerootsbeer.com. When is the Beer Garden open? Same as our regular hours, weather permitting! Yes! 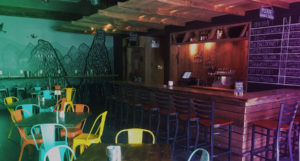 Our Millvale taproom has a full kitchen that specializes in smoked meat sandwiches and tacos. We also have several vegetarian friendly items on our menu. Our Gibsonia location features a rotating line-up of food trucks. Enter your email address to stay up to date on events, special bottle releases and more!